Big Island, or Hawaii Island, is all about adventure, unique experiences, and rejuvenated spirits. 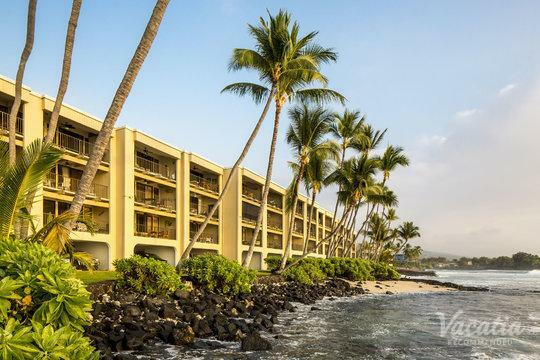 One of the most important parts of your Big Island vacation is your accommodation. A cursory internet search will yield a ton of unrelated options, but Vacatia's extensive list is comprehensively organized. 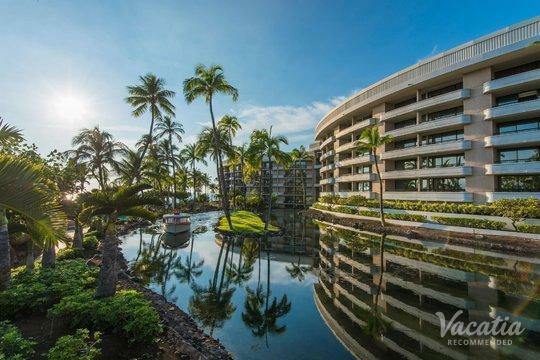 You'll be able to find the best beach resorts in Hawaii (Big island) quickly and easily. All of our Big Island beach resorts are highly recommended, and our helpful online Guest Care team is always ready to answer your questions. When you book with Vacatia, you'll find out for yourself why we consistently inspire high levels of customer loyalty and satisfaction. You'll have the peace of mind of knowing exactly what to expect before you leave home. 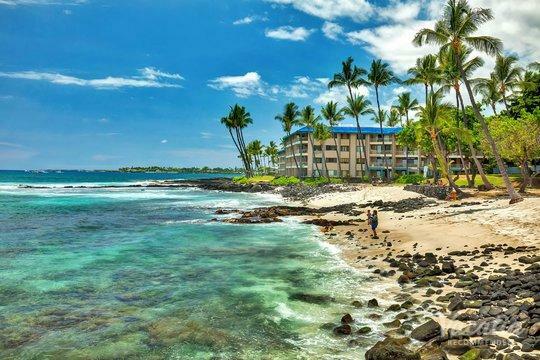 When people start looking for Big Island resorts on the beach, they're probably looking for a little bit of everything. Many vacationers love the benefits that come with staying at a hotel or resort, but they also want the comforts and relaxation of home. With Vacatia's resort residences, you can have the best of both worlds. You'll get a spacious living area where you can relax and hang out with friends and family. You'll also get your own fully equipped kitchen where you can cook breakfast, lunch, or dinner to save on food costs. If your unit comes with its own washer/dryer, you'll be able to do a quick load of laundry to keep things fresh. On top of all this, you'll also get all the perks and services of a high-end resort: daily housekeeping, fun pools and waterslides, concierge check-in, gourmet on-site dining, relaxing spas, and more. Dream big. Hawaii Island, nicknamed Big Island, is the largest and youngest isle in the state. Its size is not the only thing that makes it remarkable, however. Imagine yourself at Kilauea, which is one of the world's most active volcanoes. You can also immerse yourself in history and culture at the Puuhonua of Honanau Park, which is an old place of refuge. 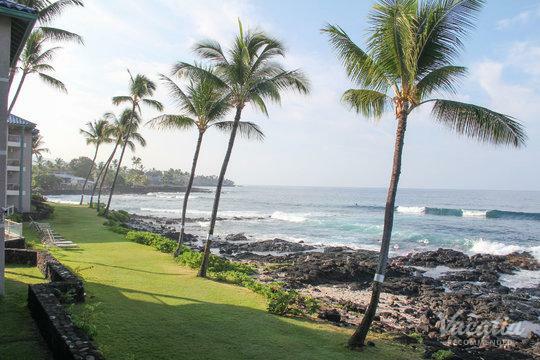 You can walk along black sand beaches, snorkel with manta rays, sail along the cost of Kona, or ride horses in Waimea. The dramatic scope and size of this island is bursting with all sorts of activities and environments. 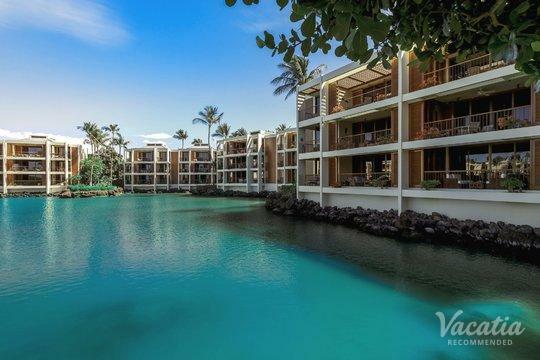 On the vast tableau of Big Island, you can find everything from amazing golf courses and high-end resorts to sacred historic sites and picturesque local towns. You can see the first missionary church in Hawaii at the Historic Kailua Village, or you can visit King Kamehameha I's birthplace. With so many things to see and do, it's best to take the island one piece at a time. There will be even more awaiting you upon your return.